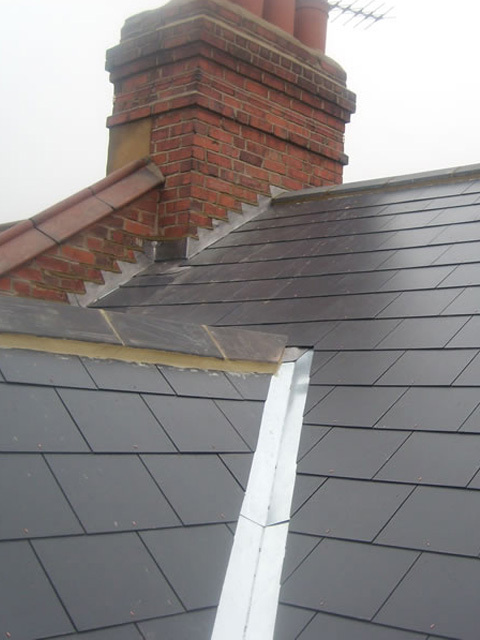 We have many years experience in dealing with many types of roofs such as flat roofs, pitched roofs, loft conversions, solar panel installation, industrial roofs and guttering. We can offer full guarantees and all our work and pride ourselves on our professionalism and our high standards of quality customer service. Please take a look at our gallery for some more examples of our high quality workmanship when looking at roof repairs in London. And don't forget it's not just roofing and roof repairs we look after, we also carry out general maintenance. We make absolutely certain that we comply with all health and safety regulations and ensure that everything we work on is completely safe. We can work on semi detached houses, detached houses, terraced houses, cottages, shops, offices and even factories, so regardless of if it's your terraced house or your place of work that requires any sort of roof repairs or services such as a leak in the roof, we would love to hear from you, so please contact us on any of the channels provided. We cover the following areas for all new roofs, roof repairs, roof maintenance, loft extensions, flat roofs, pitched roofs and other local jobs in London near me.